Take advantage of all Maps has to offer by tapping into these easily overlooked features and options. Who doesn't love Google Maps? The native Android app helps those of us with oatmeal for brains find our way anywhere, without having to fire any neurons or exercise any synapses. It even helps us find places to pick up tasty cuisine — like, uh, oatmeal (yum!). But there's much more to Google Maps than meets the eye — and odds are, you aren't taking advantage of at least a few handy hidden features lurking in the Android app. With word that Google is now apparently testing Waze-like crash and speed test reporting within Maps, I thought it'd be a fine time to think through some of the app's existing advanced options. Take a few minutes to explore these out-of-the-way possibilities the next time you're using Maps to explore the world. Even if you know where you're going, Google Maps can help you along the way. The app's driving mode shows you traffic for your current route, places of interest along your path (maybe even restaurants that serve oatmeal), and estimated travel times to places Maps thinks you might be likely to go based on your stored locations along with your location history (assuming you have that enabled) and the current day and time. It also makes it easy to start navigation, in case you end up needing additional guidance at any point in your adventure. To fire up Maps' driving mode, open up the app, tap the three-line menu icon in its upper-left corner (or just swipe inward from the left side of the screen), and select "Start driving" from the panel that appears. If you want to take things up a notch, open up the app's settings (from that same side panel), tap "Notifications," and then select "Navigation" and activate the toggle next to "Driving notifications." That'll let Maps tell you how long it'll take to get to your likely destinations as soon as your phone connects to a car's Bluetooth system. And if you want even easier access to driving mode, long-press on your home screen, select "Widgets," then scroll down to the Maps section and touch and hold the "Driving Mode" widget to place it anywhere you want for one-touch activation. Why swipe around to control your music when you can do it right from the main Maps interface? A recently added option gives you the ability to add audio controls directly into the app so you can see your currently playing tunes and shuffle around as needed within a prominently placed bar in Maps' navigation setup. To get started, open up the app's settings, select "Navigation settings," then activate the toggle next to "Show media playback controls." Next, tap the line beneath that labeled "Default media app" and pick your program of choice. Google Play Music, Spotify, and Apple Music seem to be the compatible options as of now — with support still lacking for other services, including (rather amusingly) Google's own next-gen YouTube Music service. But hopefully broader app support will show up before long. 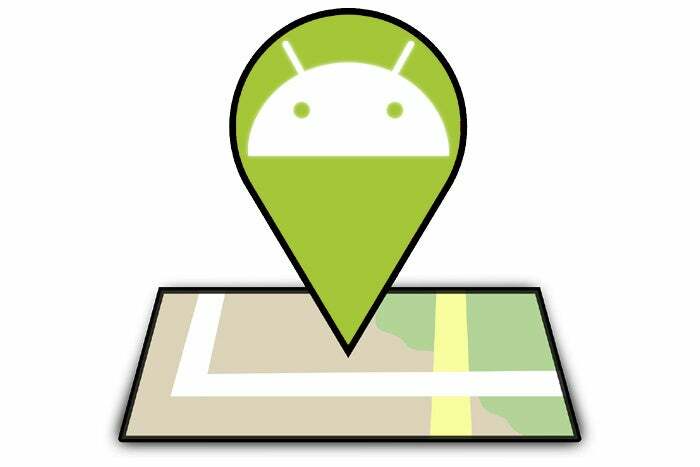 Remember way back in the early days of Android when one of the most popular apps was a simple little tool called Car Locator? No? Well, I do — but then again, I've been writing about Android for about 93 years now (related: I may or may not be a tortoise). These days, that app is long-abandoned — but little-known fact: Maps itself can do exactly what it used to do and save any location you want, then help you mosey back to it later. The next time your noggin needs a memory aide, just open up Maps and tap the blue dot that shows your current location. That'll pull up a big blue-screened menu upon which you'll see the incredibly useful "Save your parking" option. Tap that, and that's it: Your current location will be burned into Maps' memory. If you want to add extra info to help your own mush-brain later, tap the white bar that says "Parking location" at the bottom of the screen. You can then enter notes about your saved location (what level you parked on, how many oatmeal-serving establishments were in the vicinity, and so on), attach photos (you making silly faces in front of various passersby, etc), and create an alert to remind you about the location after a certain amount of time has elapsed. 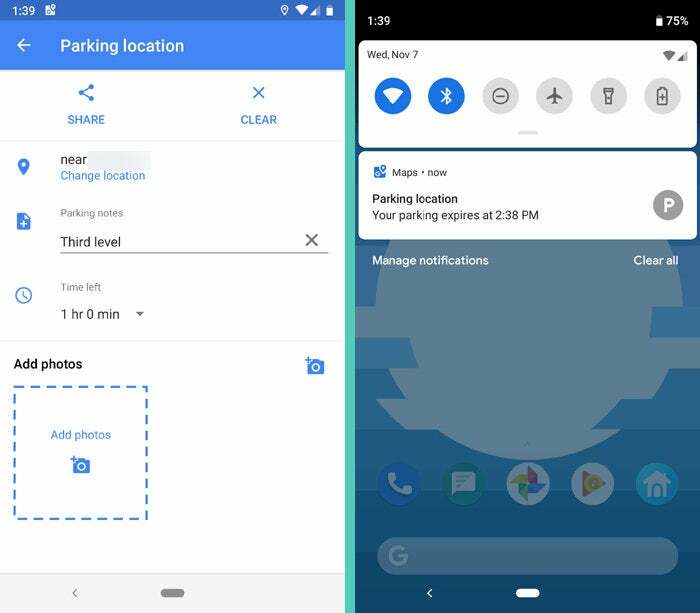 When you're ready to get back to your car — or whatever sort of spot you've saved — all you've gotta do is tap that same "Parking location" bar at the bottom of the Maps app or look for the "Parking location" notification from anywhere in your phone. Help someone find you — or maybe just give 'em an update on your whereabouts and progress — by tapping that same blue location dot and, in that same blue-screened menu, selecting "Share your location." That'll let you give anyone a link to follow your location in real-time on a map for a specific amount of time or until you turn the feature off. As of just a couple weeks ago, you can even share the link to any app or service on your phone (like a messaging app) in order to get it to whomever you need. Oh, and if you're in the midst of an active navigation, you can pull up the same feature by tapping the white bar at the bottom of the screen (the one that tells you how long is left til you reach your destination) and then selecting "Share trip progress" from the menu that appears. Ever feel like it'd be easier to understand a map if north were always facing up? You can actually tell Maps to keep a consistent, locked orientation with north at the top whenever it's navigating: Just look in the "Navigation settings" section of the app's main settings and find the option labeled (rather appropriately) "Keep map north up." Activate its toggle and never do that awkward head-pivoting, trying-to-figure-out-which-way-you're-facing maneuver again. In that same "Navigation settings" section of Maps' settings lies a freshly added option anyone with sensitive peepers will be pleased to see: the ability to set Maps' color scheme into a permanent dark mode whenever navigation is active. By default, Maps manages this setting on its own and switches between a light and dark scheme as it sees fit. If you'd rather avoid glary distractions all the time, look for the "Color scheme" setting and switch it from "Automatic" to "Night." I don't know about you, but I've lost count of the number of times I've had Maps navigation going and music playing from my phone at the same time — and then jumped in my seat when that navigation lady's voice cuts in and somehow seems 7,000 times louder than the song behind it. There's actually an easy fix for that, though: At the very top of same "Navigation setting" section of the app's settings sits an option called "Guidance volume." Try changing it to "Softer" — or "Louder," if you dare! — and see how that suits your ears. 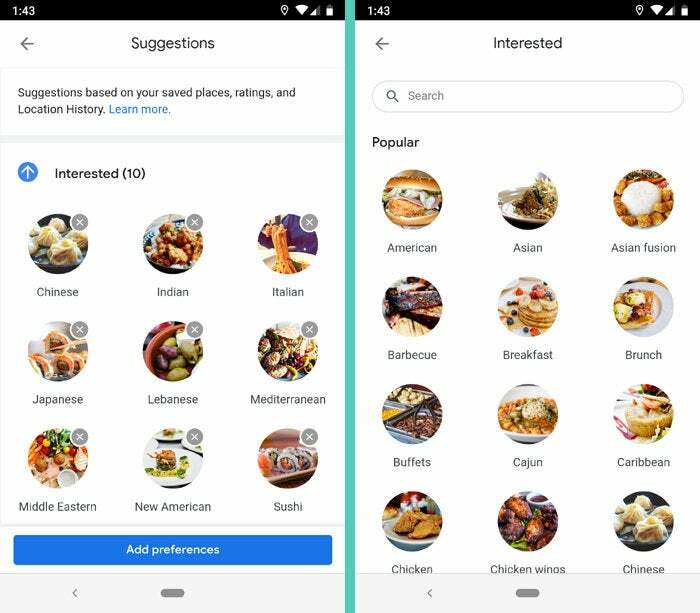 Maps tries to guess what places you'd like to eat based on your past behavior, but you can take control and help make its suggestions even better by looking for the "Exploring places" section within the app's settings. Select "Food and drink preferences," then go to town telling Maps what types of cuisine you do and don't crave. 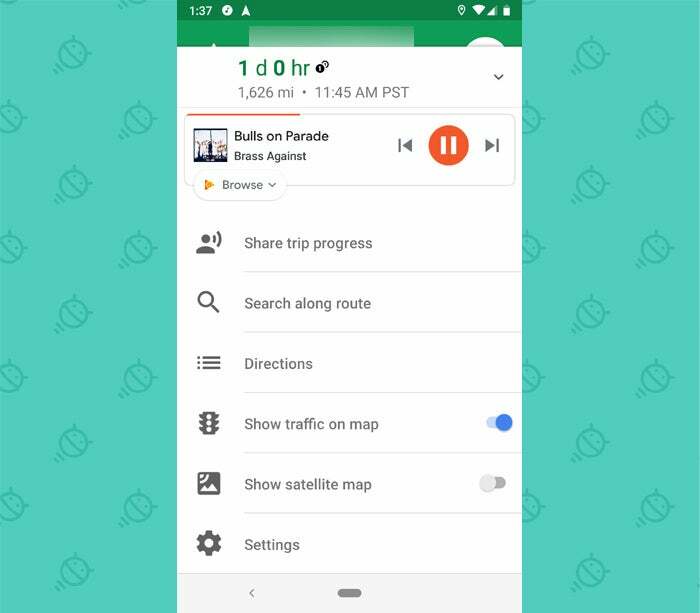 You'd be forgiven for forgetting — or maybe not ever knowing — but Maps has its own custom set of voice commands that work while you're in the midst of navigating. Ready to check 'em out? 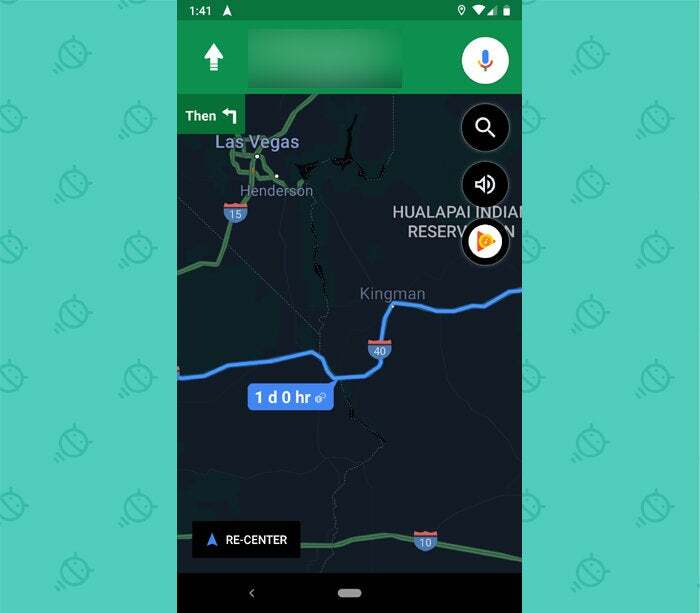 First, double-check Maps' settings to make sure you're set to use the system: In the "Navigation settings" section of the app's settings, tap on "'OK Google' detection" and confirm that the toggle next to "While driving" is active. You'll probably also want to activate "Access with Voice Match" so that commands will work even if your display is off. "Take me to Best Buy." "Find me somewhere that serves oatmeal, gosh darn it, you crazy little app, you." That last one may or may not work, but hey — it's always worth trying. What happened to battery stats in Android Pie?